Dr. Keith and Pastor Cynthia Rogan are the founding pastors of Church on the Rock in Nashville, TN (1998) and Brentwood, TN (2015). Both pastors were born and raised in Nashville, TN and were childhood sweethearts before marrying in December of 1984. When Dr. Rogan was only eight years old, he had an encounter with God where he first learned of his calling into the ministry. He followed that calling in 1997 when he moved his family of six from New Albany, Indiana, where he had been working as a mechanical engineer, and returned to Nashville, TN. Before leaving Indiana, Dr. Rogan received the blessing and support of his pastor of 13 years, Dr. Michael P. Jacobs of Church on the Rock (New Albany, IN), and adopted the name of Church on the Rock for his own church. Dr. Jacobs and his wife, Pastor Diana, continue to be spiritual parents to Dr. Rogan and Pastor Cynthia. Aside from the several ministries within Church on the Rock, Dr. Rogan and Pastor Cynthia also reach outside the four walls of the church with a monthly ministry to the Tennessee Prison for Women. In their obedience to God, lives have changed and the sick have been healed. 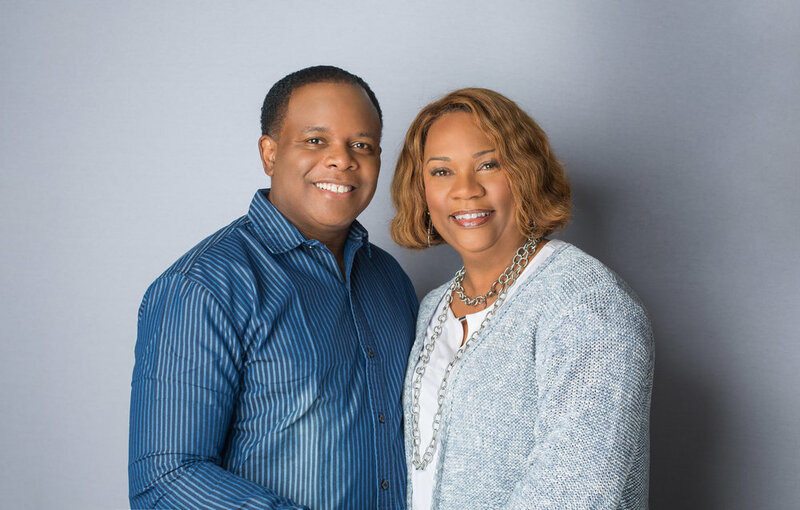 Dr. Rogan and Pastor Cynthia have 4 children (and 3 children in-love) who serve with them in the ministry: Keisha Nicole Taylor (Bradford Taylor), Karena Salazar (Darius Salazar), Caleb Michael Rogan (Aignes Rogan), and Candace Rogan. They are also proud grandparents to Emmanuel, Amelia, and Aiden (children of Caleb and Aignes Rogan). Dr. Keith Rogan is a graduate of the following: Maplewood High School class of ’79, Tennessee State University class of ’83 (B.A. Mechanical Engineering), Life Christian Bible institute ’10. He received his Doctorate of Divinity on March 23, 2017, presented by Dr. Michael Jacobs and Dr. Dennis Hattabaugh.